You are buying the First Quality Prevail PER-FIT Briefs XL 59"-64" PF-014/1 60/cs - Model #PF-014/1 from First Quality. First Quality is a leading manufacturer of incontinence products including briefs, liners, underwear, diapers, and underpads. At ADW Diabetes, we do our best to offer the complete product line by First Quatliy with excellent pricing and fast shipping. First Quality Prevail PER-FIT Briefs XL 59"-64" PF-014/1 60/cs - are designed for maximum leakage protection. Per-Fit's performance and features have made it one of the most trusted briefs in Long Term Care facilities. 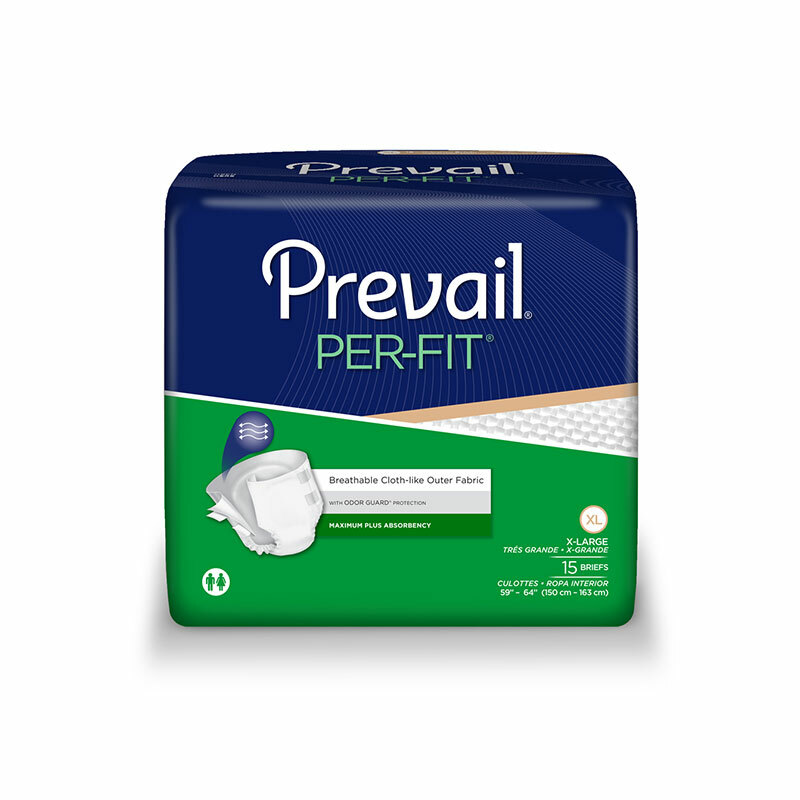 Prevail PER-FIT Briefs are well suited for the demanding needs of heavy leakage associated with reflex, overflow and functional incontinence.